Voted Best in Milpitas by the Milpitas Post for nine years consecutively, Monarch Christian School stands apart from the rest. We are a Christ-centered school that is fully committed to fostering academic excellence in every aspect of the education of its students. Our aggressive, academic programs are administered within the context of Biblical principles and values, where each child is authentically loved, nurtured and encouraged. Monarch enables its students to set and reach their goals by providing a well balanced curriculum that supports the achievement of high academic standards, while at the same time fostering a true love of learning. At Monarch, the quest for excellence for us begins at the pre-school level. We strive to create a classroom environment that fosters a love of learning from a young age. We push the boundaries beyond a mere acquisition of facts and knowledge. Through teacher guidance and encouragement, students develop the confidence to investigate and inquire, to confidently solve problems, and to take responsibility for their own learning. 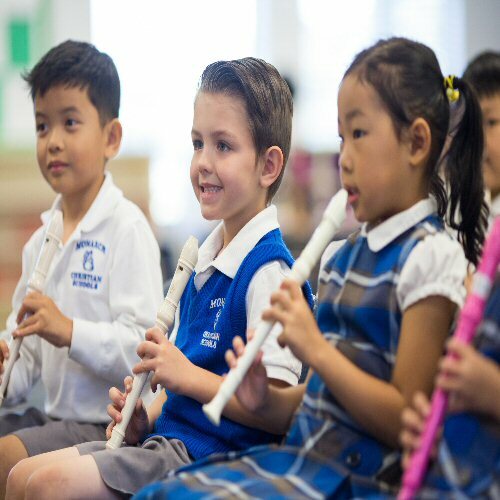 We aim to build on and enrich their learning experiences, strengthen their emotional confidence, and broaden their social horizons and cultural interests. 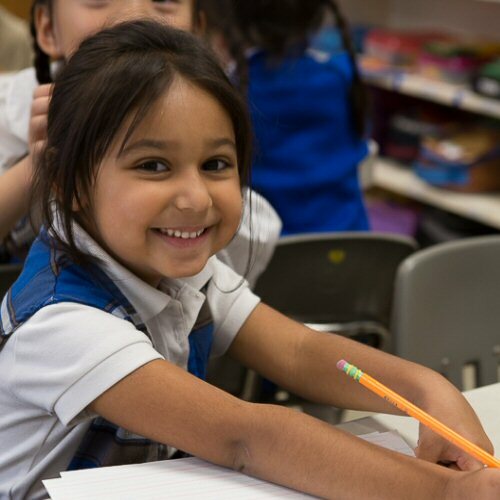 We strongly believe in the uniqueness and individuality of each child and we are deeply committed to developing God’s best for each student on every level. 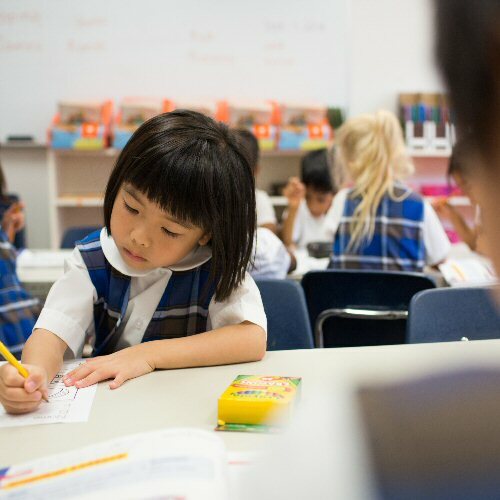 Monarch is unlike any other Montessori school in the bay area, in that we combine the teaching of Christian principles and character development with the Montessori approach and methods. 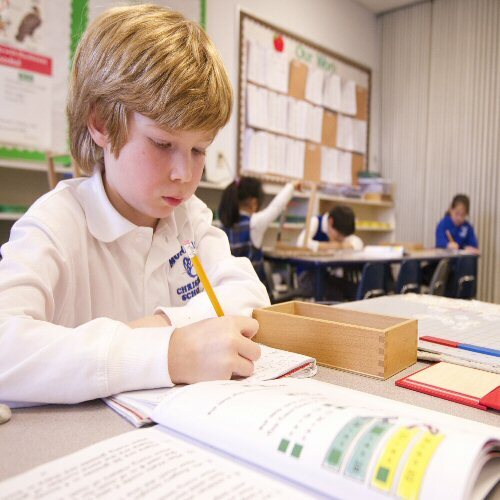 Conversely, Monarch is unlike any other Christian school in that we incorporate Montessori techniques, methods, and materials and use them in combination with carefully selected, grade-level appropriate curriculum and textbook materials. It is this combination of Christian character development tied with the hands-on, Montessori methods and techniques that make us absolutely unique in preschool and elementary education. Monarch’s hands-on approach engages every student in the learning process and encourages each student to strive for his or her personal best. 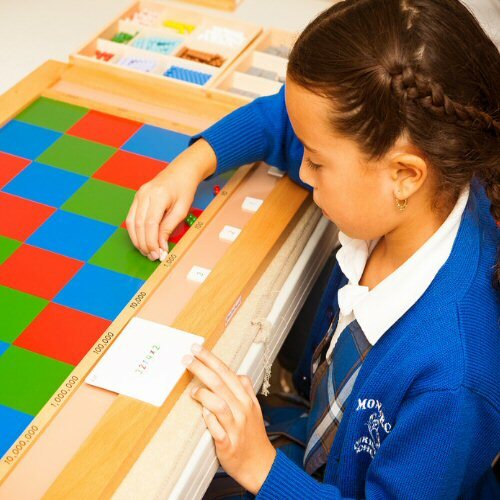 The Montessori philosophy is such that it allows for children to learn and progress at their own pace, so that fast learners are not held back, and slow learners are not frustrated by their inability to keep up. Monarch students are methodically and strategically exposed to materials that challenge them, but they are allowed to move at their own pace which eliminates the stress and “burn-out” that many students face at some of the private schools that push aggressively for high academic achievement. Monarch holds its teachers to a high standard. We hire talented and creative teachers that are a cut above – teachers who teach for the love of teaching. Our teachers are experts at what they do, and they love our students and it shows. It’s no wonder the teaching staff at Monarch are, year after year, voted by parents as being the best in the bay area. 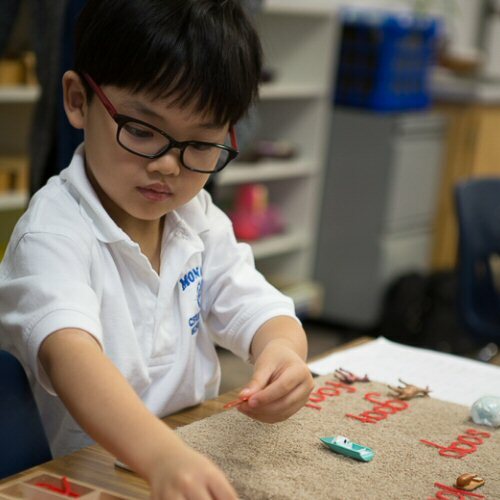 The blended techniques of Montessori combined with Christian principles with an emphasis on character development, create an unbeatable combination – a unique educational environment where children can thrive and therefore grow to their fullest potential. Students come to our school with vastly different personalities, interests, backgrounds, strengths, and weaknesses. Consequently, learning abilities vary significantly from child to child. In order to help our students reach their fullest potential, it is vital for Monarch teachers to recognize these student-to-student differences, and then to find the means to address and meet the unique needs of each student. No matter what the student’s background is, no matter what their particular challenges might be, Monarch reaches out and welcomes students from all backgrounds and circumstances. The teachers use a multi-faceted curriculum for the core subjects, drawing from a number of different programs and educational resources. 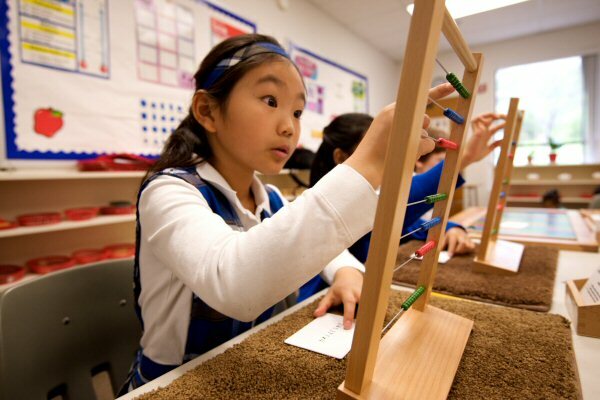 We use a variety of instructional strategies to engage each child including discovery-based learning, questioning and critical thinking, cooperative and collaborative learning, discussion and debate, hands-on and project-based learning, and creative learning through modeling, music, art, and role play. 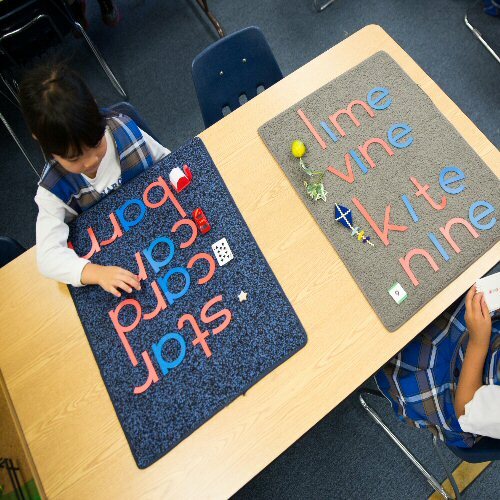 Our language program, from Kindergarten, teaches language skills using Montessori materials that engage the student and spark their desire to read and express themselves in written form. Supplemental textbooks and workbooks are used to enhance the Montessori components of the curriculum. Instruction in the primary grades emphasizes phonics, grammar, vocabulary and comprehension. Monarch has a reputation for having students that read well above their grade level. Our students read with enjoyment and with the utmost confidence. Students enjoy the freedom of expression in the Creative Writing component which is a regular and essential part of our Language Arts curriculum. 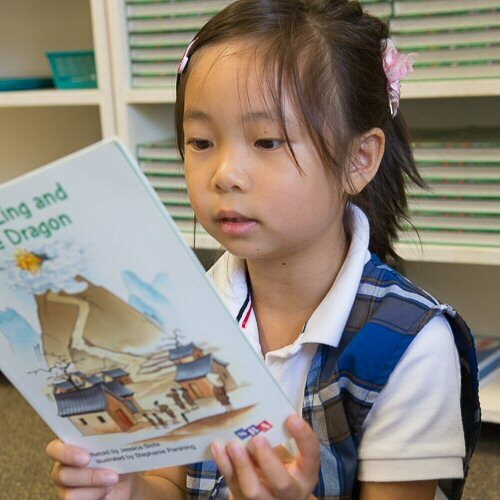 Daily oral reading in small groups with the teacher build good confidence and provide training in reading accuracy and meaningful expression. Writing instruction and assignments are integrated into the reading, history, and science curriculum. The library and computer instruction support classroom lessons. 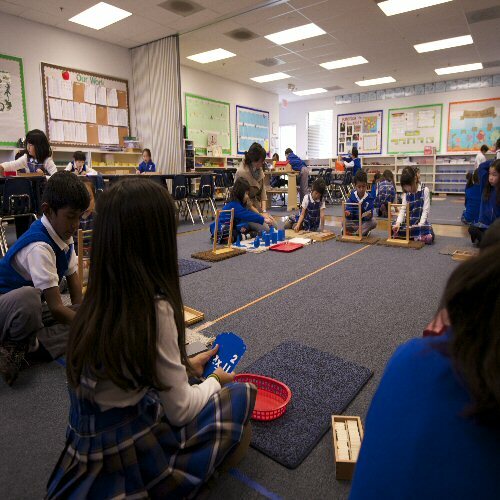 Utilizing hands-on Montessori materials, the mathematics curriculum builds in our students a solid foundation of core skills and enables them to become logical problem solvers. 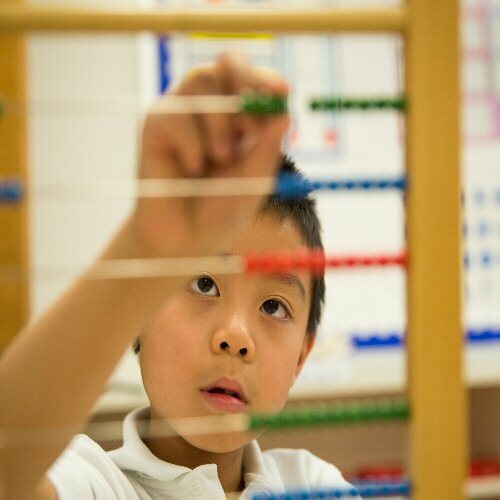 Our goal is to develop sharp, mathematical thinkers who can compute, problem solve and think flexibly. Skills build from level to level, operations and computation, measurement and geometry, patterns and relationships, reasoning and data analysis. Concepts are taught from concrete to abstract levels with Montessori manipulatives, and supplemented with texts, workbooks and technology. 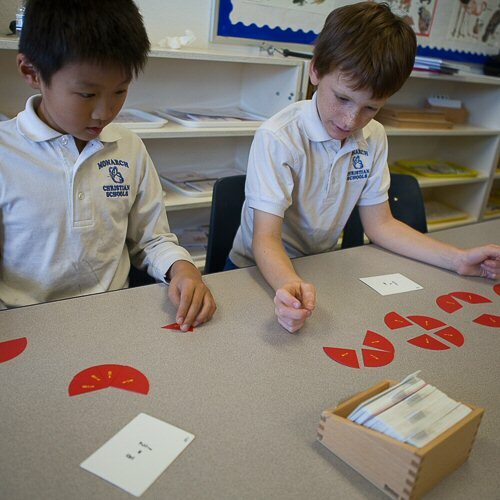 Through teacher-directed class instruction and group activities, students learn to communicate using the language of math. They are able to show logical steps in their written work, compare strategies for finding solutions, and develop an understanding of each concept. Previously studied material is systematically reviewed and students are tested to check for retention, speed and accuracy. Our Science program is designed to promote scientific knowledge of the earth, life, and physical sciences, with a special emphasis on developing critical thinking skills. In order to stimulate their minds and curiosity, as well as to prove the basic concepts of various disciplines in science, the students are given the opportunity to conduct experiments with as many hands-on materials as possible. Students experience fascinating creatures, specimens, and creative lessons that capture the imagination and instill a love of nature. The indoor and outdoor classrooms of our campus against the foothills, allow for authentic experiences that emphasize close observation, experimentation, and application in a natural, aesthetic setting. As students design and conduct experiments, they practice the processes of observation, data collection, questioning, hypothesizing, and forming conclusions. The program fosters scientific literacy and helps our students become problem solvers and critical thinkers. Science Fair is a highlight of our program for both students and parents. Field trips are a key part of the Science program and they are strategically planned and scheduled with the Science program in mind. Our curriculum is designed to promote knowledge in American History, World History, and Geography. 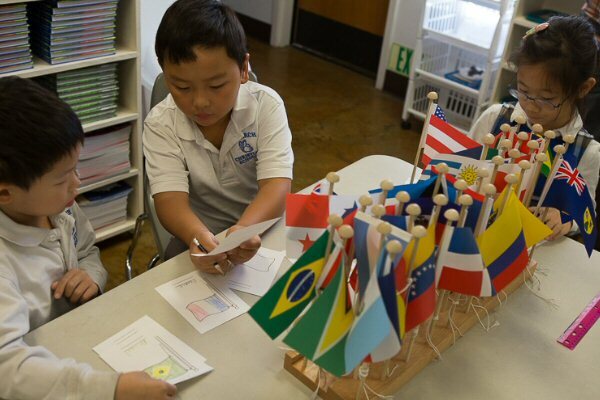 Students examine diverse societies and times to develop an understanding of the factors that divide nations, and common qualities that connect them. Students critically examine and analyze history as well as learn to detect similarities between current and ancient civilizations. The goals of the program are to have students internalize a passionate fascination with history and enter each new grade ready to learn the next layer of subject matter. The history program provides opportunities for the students to investigate cultural inheritances and their dependence on geography and history. Students also learn how social systems are shaped by the values of interacting groups, the individual, the family and the community. Students are encouraged to apply problem-solving activities and techniques as well as critical thinking skills to study social issues. Montessori hands-on materials provide good opportunity for the student to quickly master continent, country and state locations. The curriculum readies each student to move into the more complex studies of world society and history that are presented in junior high and high school. Integral to the education of Monarch students is learning about what it means to love and be loved by God. In their daily Bible classes and in weekly chapel talks, students learn about the love and character of God through the biblical principles taken from the Old and New Testament. Our aim is to provide Biblical teaching which will promote responsible and mature behavior, the development of Christian life skills, and healthy relationships with others. 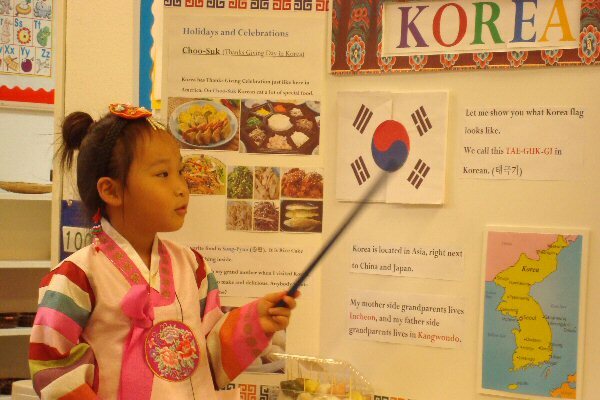 Our Foreign Language program seeks to foster a desire to acquire another language, and gives students the tools necessary to continue building their skills and proficiency in this lifelong pursuit. Students are introduced to a base of thematic vocabulary and acquire a basic understanding of the structure of language in an engaging and interactive way through project based learning, songs and games. As the students learn the language, they come to appreciate the different cultures, which in turn generates a deepter understanding and respect for these various cultures and countries. 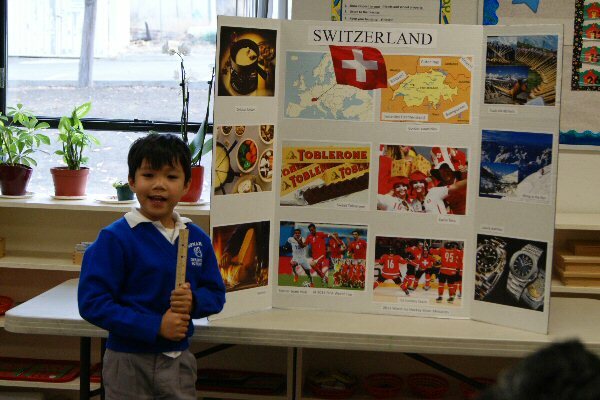 Students look forward to using what they learn in class to make foreign language presentations at Open House, graduation and special events. 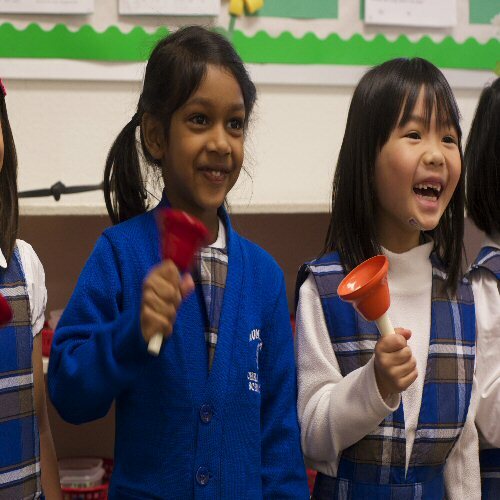 In music class, students are actively involved in music-making which includes choir, movement, and basic instrument instruction (recorder and hand-bells). 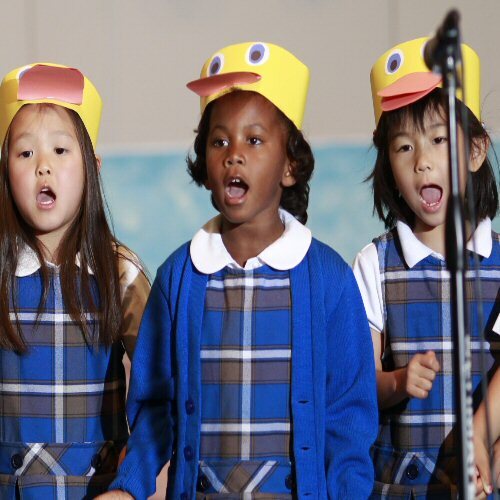 The curriculum encourages a creative and expressive response to music. 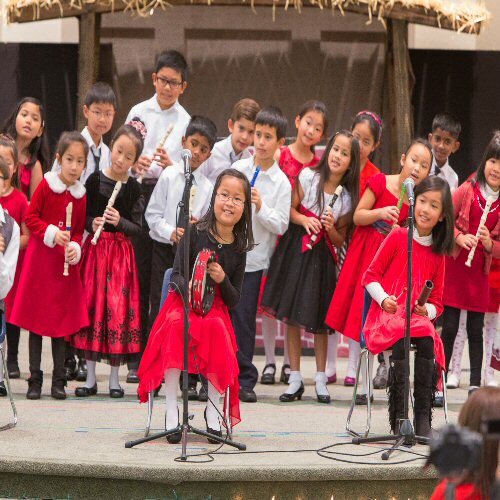 Throughout the year, students learn and perform a variety of musical genres including traditional, folk, patriotic, and holiday songs. Students are introduced to the “basics of art,” including shapes, color, and texture. The objective is to foster an environment where creativity is nurtured and personal style and expression is encouraged in a positive and fun setting. A variety of techniques are explored including: two and three-dimensional projects, watercolor techniques, blending colors, adding layers, and drawing and sketching techniques using pencil, pastel, and chalk. Physical activity not only improves fitness levels and overall good health, but is said to enhance academic stamina. Additionally, it provides a venue for students to interact socially outside of the classroom. Students participate in a variety of individual and team activities at least once a day. The goal of the program is to develop a foundation for a lifelong habit of daily physical activity by learning athletic fundamentals, sports skills, and sportsmanship in a joyful, active environment. Every student in the elementary school will receive guidance and training in basic computer skills. We will focus on the development of keyboard and word processing skills. Classroom teachers will be able to utilize the computer lab to incorporate computers into each of their subject areas. Our extended day program offers far more than just daycare. We have developed a fun and educational afternoon program to finish off our day. Children will experience arts/crafts, computers, music, sports skills, foreign language classes, as well as homework assistance. We are always looking for new fun and educational activities to supplement our afternoon program. Students will take the Stanford Achievement Test (SAT) at the end of the school year.